There has been a lot of talk about how this final season is going to be made up of movies rather than episodes and the insane levels of production that have gone into season 8. Despite that we discovered that the running times for the first two episodes were nothing out of the ordinary, clocking in at 54 and 58 minutes long. We had nothing to fear though, as HBO has shared the running times for the rest of the season and it’s much more in-line with the hype. Episode three is 60 minutes, episode four is 78 minutes, and the final two episodes are a eye-watering 80 minutes each, which sounds completely delightful. 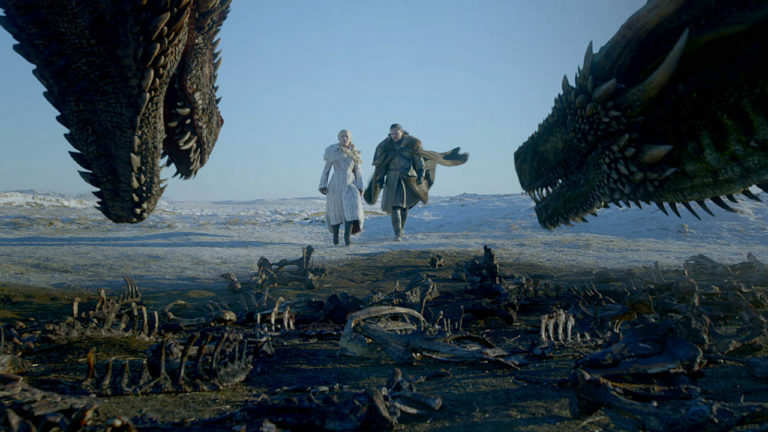 HBO’s former boss Richard Plepler has promised that the show’s final season will be “spectacular”, heaping praise on showrunners David Benioff and Dan Weiss for creating “six movies” with the final episodes. There’s also apparently a battle scene that took a staggering 11 weeks to film and rumours that this will take up a full episode. Meanwhile Maisie Williams, who plays Arya, described filming the battle as “physically draining”. “It’s night after night, and again and again, and it just doesn’t stop. Game of Thrones season 8 will premiere Tomorrow.